What Will Texas Bring to the IT Table? Actually, it’s not just Houston. 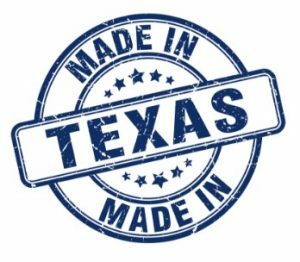 It’s time for all parts of Texas IT to recognize and address the fact that we’ve struggled to find our stride in the race for national IT presence. It’s not that we lack the expertise — we grow and educate some brilliant IT minds here in Texas, and you can find rich pockets of knowledge, like San Antonio’s cyber security hub and El Paso’s promising new 3D car printing gig. But we struggle to share our knowledge as professionals and create a culture of IT savvy that ripples out to the end consumer. And it ends up hurting them. And us. This may even be just a partial list of the areas we need to address as Texas IT leaders, and I’d love to see more of us in dialogue about the IT needs and impressive rankings Texas can earn in the IT scene. Because right now some of our rankings are nothing to be proud of. El Paso was recently recognized as a 2018 All-America City for the strides local leaders are making in connecting people to resources and solutions that will improve their lives and futures. The economy is strong and unemployment is under 4 percent! But the very same community has been ranked as the 13th worst city in the nation for high-speed internet connectivity. Think that sounds bad? Wait till I tell you the American Community Survey found SIX large Texas cities are among the worst-connected in the nation, including Dallas. If customers and future tech leaders are growing up without internet access, of course we’re going to struggle to bring Texas IT to the top. Not only do too many people in Texas lack the economic benefits of internet access, they’re not able to become sophisticated IT buyers that fuel growth and competition for excellence among vendors. There are some exciting movements to increase connectivity in Texas, like San Antonio’s Housing Authority effort to bridge the digital gap with their tenants, and the Federal Reserve Bank’s studies and recommended changes. But we still have a long way to go in addressing greedy vendor pricing, rural access, and generational and cultural barriers. 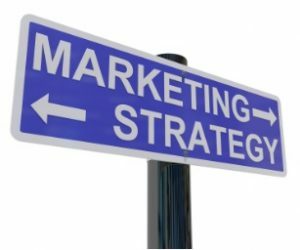 With respect to the innovations and advances they’ve made, Texas Instruments stands as a great case study for the importance of marketing IT well and projecting and building for future technology needs. Texas Instruments has ridden some huge peaks and valleys in their quest to become an IT leader. They had considerable success with handheld scientific calculators, even competing with HP for market share. But a dream and a shift in focus brought them to the summit of their highest peak with their TMS9900 microprocessor that narrowly lost the chance to be the chip of choice in the very computer you’re reading this on today. From that valley, Texas Instruments ultimately had to refocus on special-purpose digital signal processors and learn some hard lessons about marketing and capitalizing on future needs before rising again. And this story is true for many of us in Texas. We strike too late into adventurous territory, and we don’t put enough energy into marketing our innovative products and solutions, both to consumers and within the industry. At Varay, our hearts and souls are in Texas. We each live in, work in, and give back to the communities we serve. Let’s come together as leaders in Texas IT and start the conversations that will spark greater connectivity and consumer IT awareness. Let’s get better at capitalizing on future tech needs, and marketing our products like our state depends on it. If you’re looking to grow your business’s technology or secure yourself from cyber attacks, we’d love to connect with you and bring you access to the best in Texas IT. And if you’re a leader in Texas technology, we’d love to connect with you and hear your thoughts on how we can work together to make Texas IT a more unified, powerful force in national technology.